The Health and Social Care Act 2012 places a new statutory responsibility on local authorities in England to establish a Health and Wellbeing Board for their area. One of the key responsibilities of the Boards is to produce a Health and Wellbeing Strategy which they must publish. Health and Wellbeing Strategies are intended to be strategic and must take account of the current and future health and social care needs of the entire population. They also need to examine how local assets, including the local community itself, can be used to meet identified needs. The Department of Health has issued guidance covering both Joint Strategic Needs Assessments and Health and Wellbeing Strategies. JSNAs form the evidence base for the strategies. 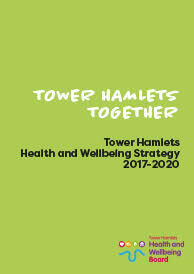 These strategies, and the processes around them, are a major opportunity to join up the different services that impact on health, and to ensure that local health priorities are reflected across other policy documents and strategies (such as the Local Plan). HUDU can assist with the development of strategies and with ensuring that they both reflect and are taken into account when considering the impact and implications of plans and proposals for new residential developments and communities.